A key demographic for your relationship marketing strategy. They’re searching for the next big thing. They know the value of quality, and are willing to pay for it. They’re the most educated and affluent customers you have. 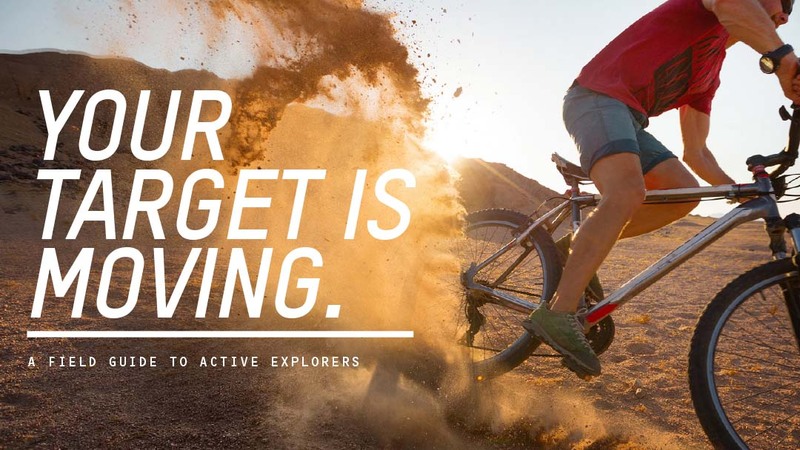 They’re called Active Explorers, and we've got a field guide to them. You don't have to be an athletic company or an outdoor brand to speak to these people. Hundreds of companies are slowly realizing that the wave of people wanting simpler, better, and healthier things out of life has reached their shores. Are you one of them? We’re Williams Helde, and we discovered the Active Explorer. We can help you find them. We can teach you their language, point you toward their native habitat, and give you the tools you need to inspire and delight them. Get your free Active Explorers overview!